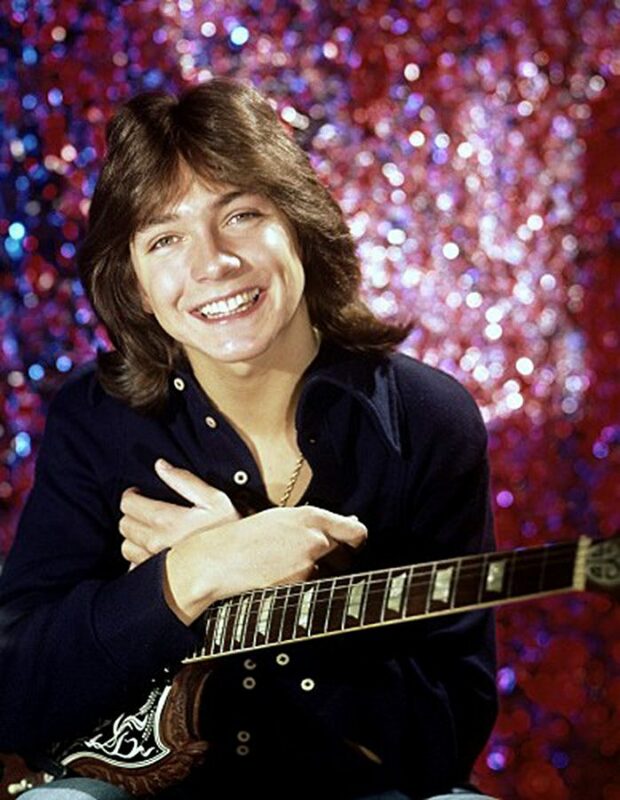 Former teen heartthrob David Cassidy, who rose to fame in the 1970s when he was cast as Keith Partridge on the hit sitcom The Partridge Family, has died. He was admitted earlier this week to hospital after suffering kidney and liver failure and died yesterday evening. David was born into a showbusiness family that included his father, actor Jack Cassidy. Jack helped David land a role on Broadway in his teens. David then moved into guest appearances on hit television dramas such as Bonanza, Ironside and Medical Center. In 1969, David’s agent asked him to audition for the role of Keith Partridge on the sitcom The Partridge Family. He was initially reluctant to do so, wanting instead to be known as a serious actor, but auditioned and won the role. He soon discovered his stepmother, Shirley Jones, would be playing his mother on the show. The Partridge Family was a huge success, and when producers discovered David could actually sing and play guitar, he began recording the show’s songs. The first single on The Partridge Family’s debut album, “I Think I Love You,” shot up the charts in 1970. David began performing concerts for thousands of screaming fans all over the world while still appearing on four seasons of the show. The Partridge Family came to an end when David had had enough. In 1974, when he was performing a concert in Britain, barriers toppled due to a rush of teenage girls. One fan was crushed in the chaos that ensued. David felt responsible for the hysteria that occured at his concerts, and fearful of something similar happening again, he retired from the limelight for awhile. Following an Emmy-nominated performance on Police Story in 1978, he starred on a series called David Cassidy: Man Undercover. He went on to perform on Broadway to great success in musicals such as Joseph and the Amazing Technicolor Dreamcoat in 1982 and in 1993, he starred alongside his brother Shaun Cassidy, also a former teen idol, in Blood Brothers. David also found success in Las Vegas and starred on the 2009 series Ruby and the Rockits, which co-starred his brother Patrick Cassidy and was produced by Shaun. In recent years, David’s alcoholism caught up to him and he was arrested several times for DUIs. Earlier this year David announced he was suffering from dementia, revealing that his mother, actress Evelyn Ward, had also suffered from the condition. May he rest in peace. He was terrific in the TV show “The Partridge Family”. I thought the other year was bad, this is getting crazy. RIP. Heartbreaking news. Much too young, but when you abuse drugs and alcohol, your lifespan obviously takes a hit. Such a shame. As the child of divorce (and a father who, instead of being proud of David’s success, was jealous), I don’t think he had a happy life.